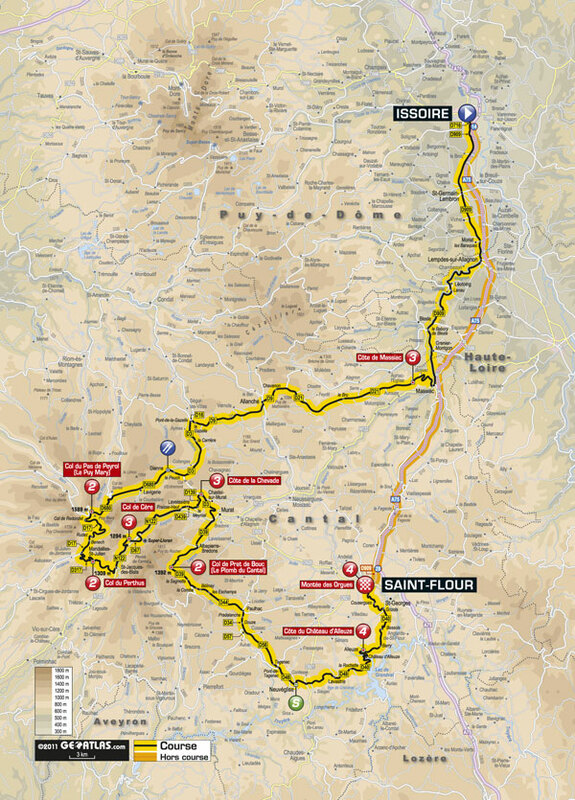 Another day in the Massif Central can only mean another undulating stage. Seven climbs will be tackled along this energy-sapping 208km marathon, five of which top out at over 1000m. The first 40km is relatively flat, but afterwards the race profile perfectly fits the classic shark’s teeth billing. With the final climb of the day, the Côte du Château d’Alleuze, coming 15km from the finish in Saint-Flour, it could be a day for a breakaway, just like the two previous finishes in the city have been. Don’t expect a flat finish either; the final 1.5km is uphill too. After these past two stages, the peloton deserves its “day off” tomorrow.